This weekend, news broke in the New York Times that Facebook’s habit of giving extensive user data to third parties extended to “at least 60 device makers” who were granted access to private Facebook APIs over the past decade. The social media giant has been trying to quash the story by insisting developers were only allowed to use the data to provide “the Facebook experience” before the market dominance of Android and Apple made it less necessary for manufacturers to build in custom functionality, but a new development may have just made it a lot harder to sweep under the rug. Concern over Huawei has built in Congress as Chinese state banks funded its massive overseas expansion selling both phones and telecom equipment across the globe. As the Washington Post noted, though the company denies that it shares any user data with the Chinese government, the Pentagon took the fairly unusual move of banning the sale of devices from both Huawei and another Chinese manufacturer, ZTE, on military bases. Like Huawei, US intelligence officials suspect ZTE could be stealthily spying on its international customers (though they have yet to provide any specific evidence, so take that with a grain of salt). 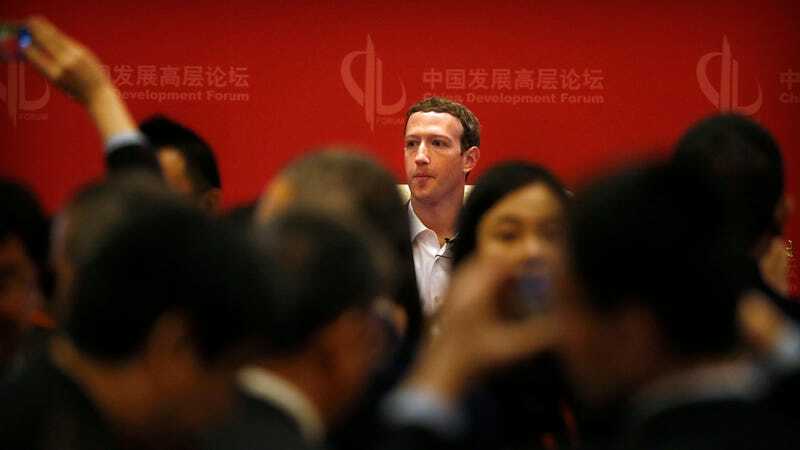 ZTE is not believed to have had access to the Facebook API, a source told the Post. Still, the Federal Communications Commission is mulling a ban on using federal subsidies to purchase telecom equipment from either firm. Update, 9:30pm ET: Per a report in Reuters, that deal Trump struck with Xi to save ZTE may already be in motion. Sources told the news agency that ZTE has signed a “preliminary” deal with the Commerce Department, which would require the company to completely overhaul its board and executive team within a month, pay a $1 billion fine with an additional $400 million kept in escrow to “cover any future violations,” and sign off on a “non-public agreement” to allow US officials to visit its facilities without pre-clearance by the Chinese government. However, the deal is not yet finalized, Reuters reported.